4 5/8" X 4 5/8"
The Trajan 812 is a heavy duty manual miter pivot saw that can cut up to a 45 degree angle. It’s an easy to use saw that can handle the tougher materials and parts that haven’t been pre-cut. Above all, the 812 is very efficient. In fact, it “Uses half the power of competitors’ saws,” making it less expensive in the log run. The Trajan 812 has a few components engineered to help you get the perfect cut. 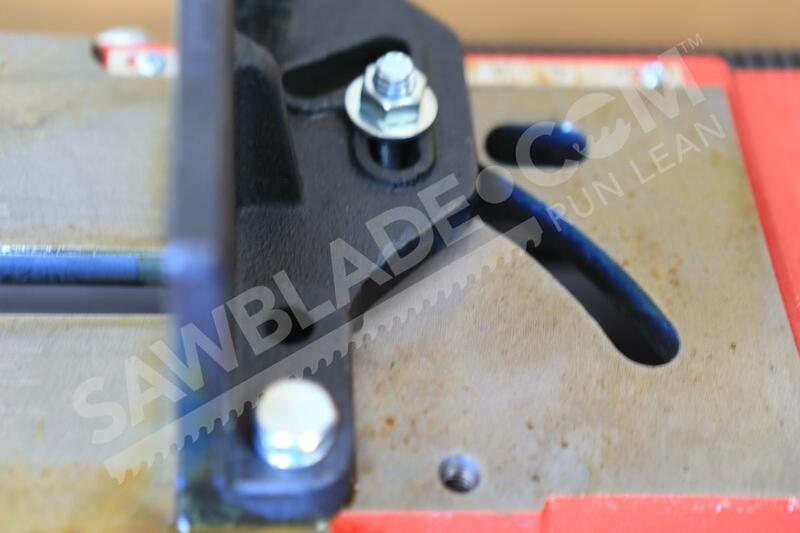 Carbide blade guides– instead of bearings – mean this saw can handle heavy-duty metals, including: •	Carbon steel 41-40, •	High alloy steels, •	And, when paired with a carbide-tipped saw blade, materials that are 70-72 Rockwell hardness. The Trajan 812 is equipped with a gear-driven three speed transmission that runs from 135 to 256 revolutions per minute (RPM). The transmission makes the 812 extremely convenient. “Users can change the speed while the saw is running,” it makes changing speed as simple as turning a knob. The Trajan 812 also has a built in lubricant system that allows the operator to wet cut. 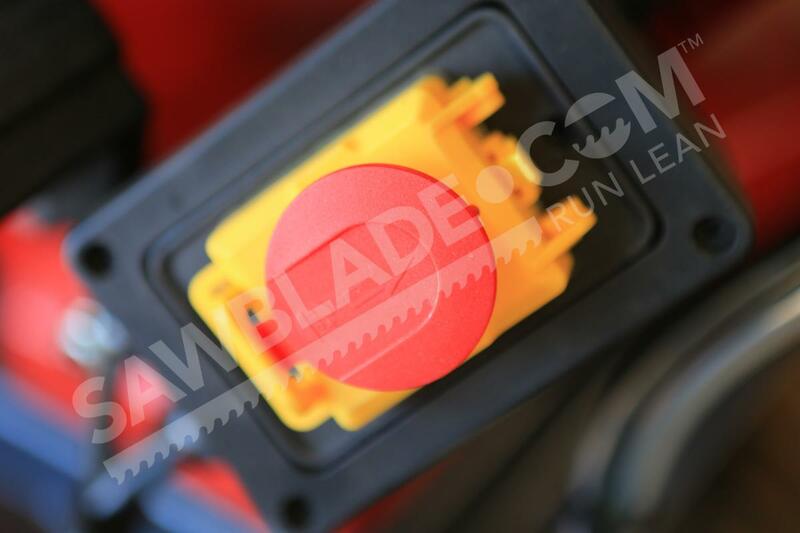 The lubricant systems also removes chips from the cutting surface, which can help extend blade life. 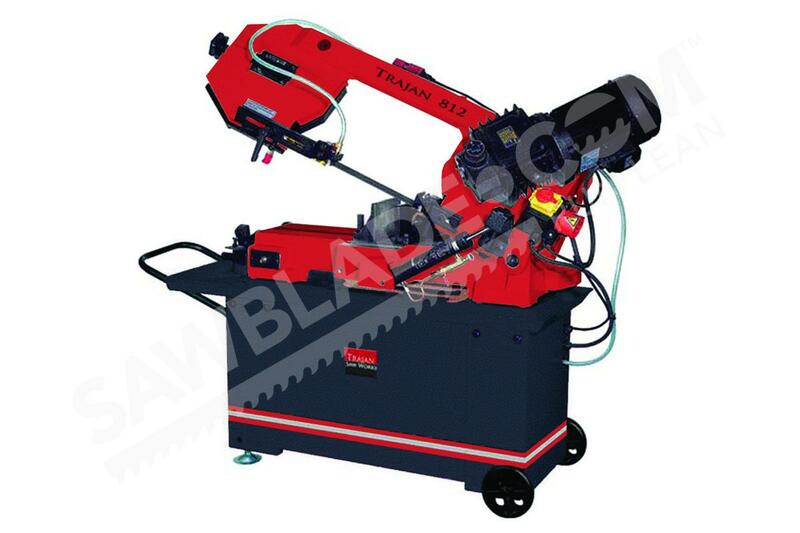 The Trajan 812 band saw is a user friendly, heavy duty band saw. Even though it requires more maintenance than some other saws, its efficiency may end up saving you more money in the long run. It has great blade life because of its coolant system, and the gear transmission allowing you to save on the cost per cut. The Trajan 812 Band Saw might just be the band saw that is perfect for your shop. If you have any questions, or would like to purchase a Trajan 812 Band Saw. Choose the Trajan 812 when you need a saw that provides excellent performance in a variety of production environments. 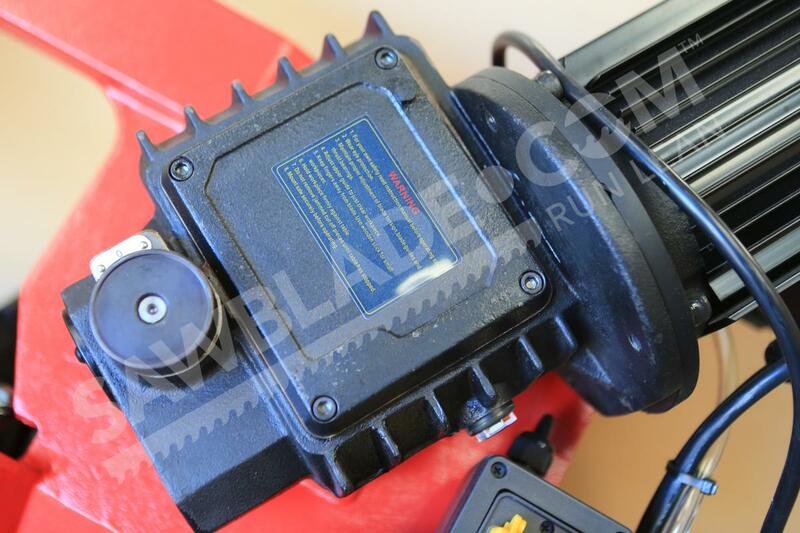 Trajan engineered this saw to meet a variety of needs and accommodate a range of applications. The Trajan 812 also protects band saw blade life while catering to operator convenience and ensuring precise cuts. Replacing band saw blades in the middle of job is a tedious hassle. 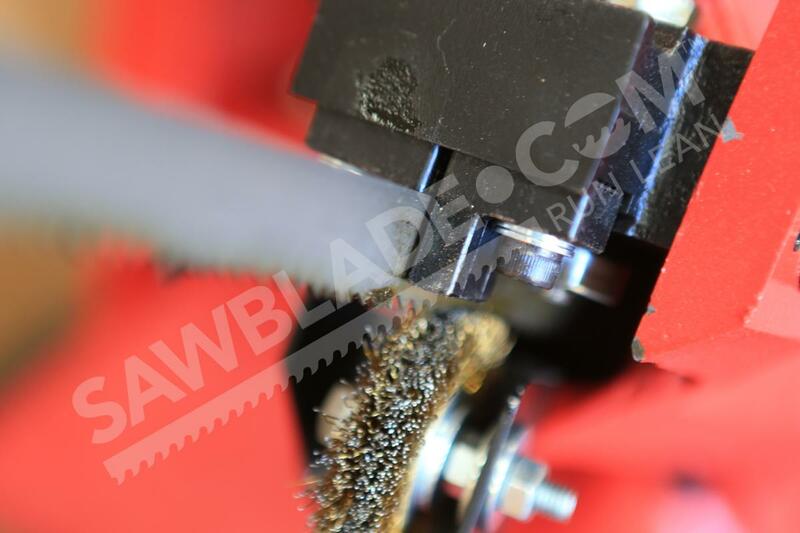 That’s why we designed the Trajan 812 band saw to actually protect blade life. The bearing carbide blade guides on the 812 enhance stability and reduce vibration, which lessens the damage that band saw blades sustain as they cut. The saw itself has a casting structure that contributes significantly to the strength of the cutting machine, further enhancing stability. 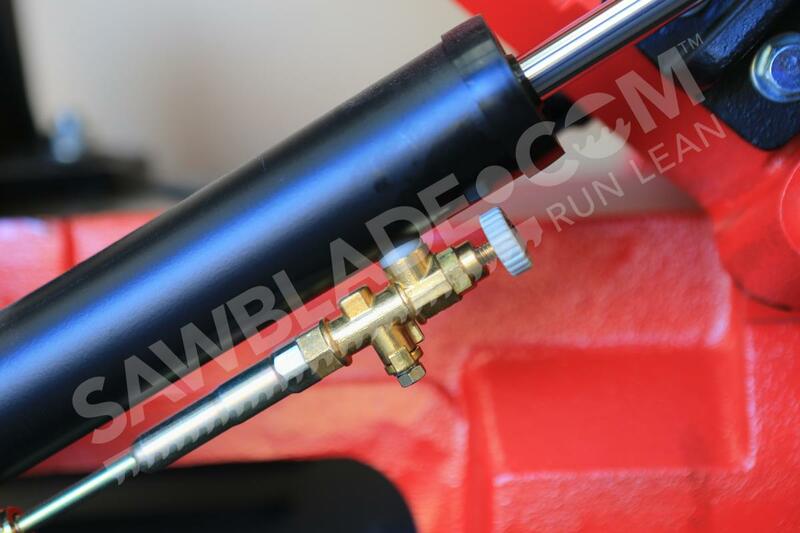 This saw features a coolant system that enables operators to take on wet cutting jobs. To make cleanup after such cuts quick, Trajan designed the Trajan 812 with a coolant pan. 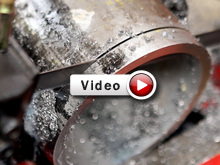 It collects the coolant and chips as they flow away from the cutting surface.The Trajan 812 cutting machine makes it easy for operators to get the precise cut they need. It features fully adjustable hydraulic downfeed controls and a gear drive system that enables operators to change speeds quickly.